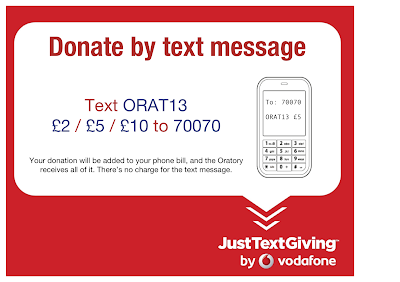 A new, easy way to support the building project — donating by text message. 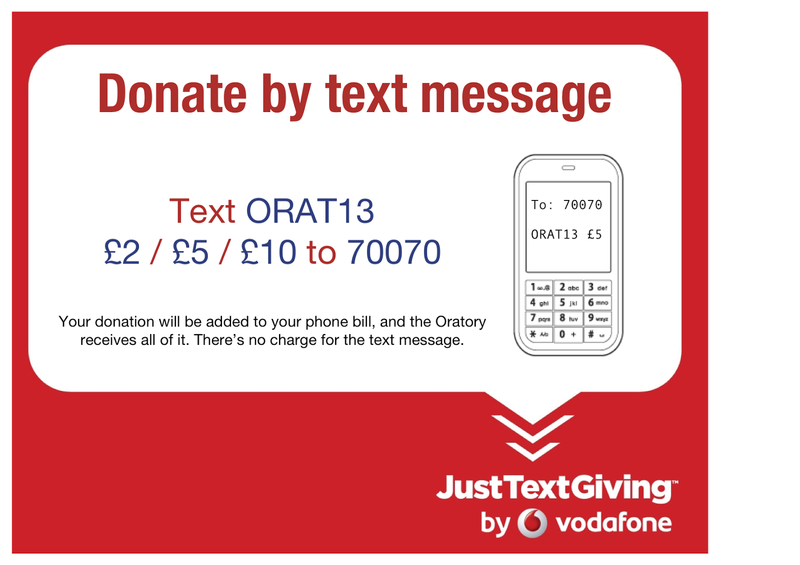 Just text ORAT13 followed by your amount: £2, £5, or £10 to 70070. Your donation will be added to your bill (or taken out of your credit) and there are no additional charges — if you donate £5, we get £5, and you only pay £5.